Is there any extensive documentation on all the files involved in making a HUD? I know there's a list of what most of the necessary files do on doodlestuff and flame's guide but they're either outdated or not informative enough. Anybody know if someone has done something similar but fully up to date? AFAIK there is no updated list of the files, but I have at least tried to add some comments to my hud files in case the filename isn't descriptive enough. AFAIK there is no updated list of the files, but I have at least tried to add some comments to [url=http://github.com/wiethoofd/wiethud]my hud files[/url] in case the filename isn't descriptive enough. anyone know how to remove this little white box? Jynxiianyone know how to remove this little white box? [quote=Jynxii]anyone know how to remove this little white box? Party Chat (top left corner). On each opening it makes smaller and smaller. After few times it disappear from the screen and I can't read it. I'm trying to remove custom menu and other staff in this HUD that doesn't have impact on in game match layout but it is little bit hard for me cause there too many changes and new things since 2013 -_-. [*] Party Chat (top left corner). On each opening it makes smaller and smaller. After few times it disappear from the screen and I can't read it. 1) As far as I know it happens in the default hud as well (I never use the party chat so i can't tell you more) and I don't know if its fixable, are you using the last version of the hud? since I edited it a bit to be bigger etc, if not try it! I can give you a list of the files you can delete in order to do this if you want! HypnotizeI can give you a list of the files you can delete in order to do this if you want! Also there is no wallhack with hp bars your teammates that appear after respawn for few seconds. HypnotizeAs far as I know it happens in the default hud as well (I never use the party chat so i can't tell you more) and I don't know if its fixable, are you using the last version of the hud? since I edited it a bit to be bigger etc, if not try it! Thats the list of the files you need to delete in order to have the default menus! Delete the econ and training folders as well! Some of the colors/borders and the fonts might not be default since they are controlled by the clietscheme but there isn't much you can do since they are used by the ingame hud as well! How can i change the damage numbers in my hud so that they dont show the "-" part, for example when i do 60 damage I'd like it to show 60, not -60. 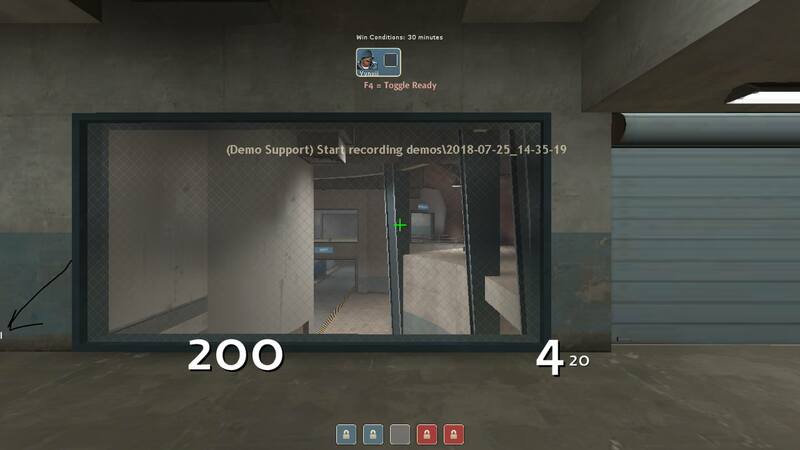 Also what am I supposed to edit to remove the killstreak counter? To remove the - you need to edit the font itself to remove the actual character of -. For the killstreak you edit the visible and enabled values of the huditemeffectmeter_killstreak to 0 for everything. Also these in autoexec for the other killstreak element. 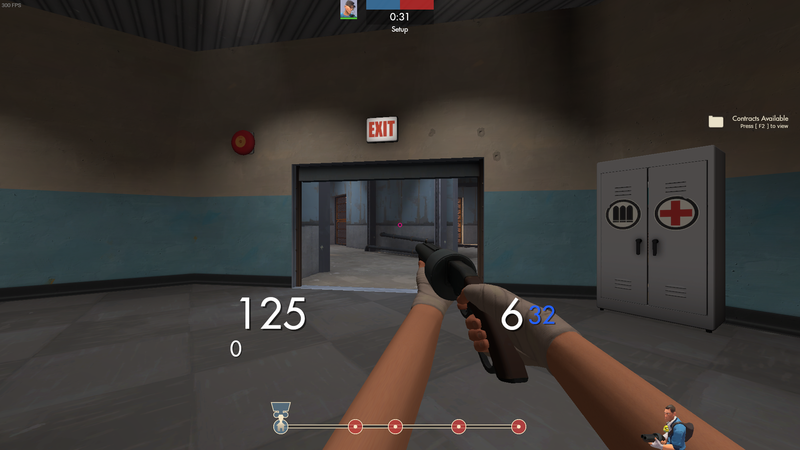 I'm trying to add shadows to the medic charge labels but if I add one for the default medigun then it shows up when i have the vaccinator equipped and vice versa. Any way to fix this? sAvenI'm trying to add shadows to the medic charge labels but if I add one for the default medigun then it shows up when i have the vaccinator equipped and vice versa. Any way to fix this? whats are the files i need to remove to get rid of this? how do i remove the red and blue boxs, the sudden death thing, and move the team classes bar ? Hey all would you guys know how to change the casual/comp top bar ui to be uhh... taller I guess? Has to do with nimtras overwatch hud. 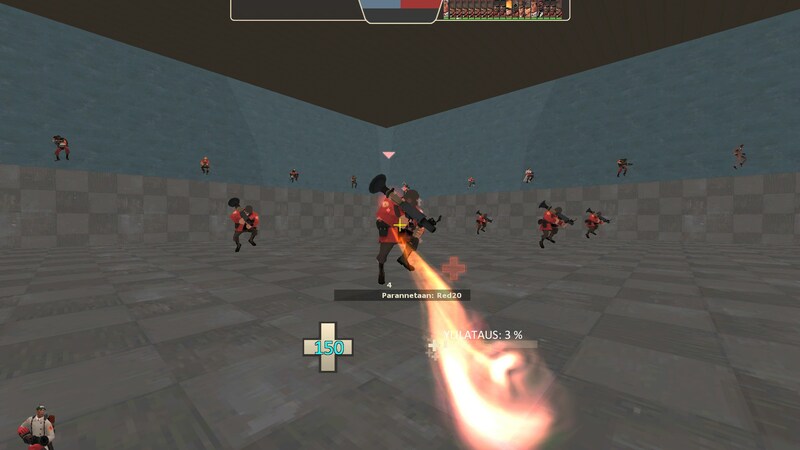 fizzwhizHow do I make damage numbers also appear on the HUD, on the bottom-left side in between the health bar and the centre? I'm looking to use it as a hit-marker to replace hitsounds. I'm using the default HUD in minmode. What I did next is to use basefiles/clientscheme.res and resource/clientscheme.res from the Improved Default HUD, and also simply copied the contents of resource/ui/huddamageaccount.res. Still no damage number appears near the health bar. [quote=fizzwhiz]How do I make damage numbers also appear on the HUD, on the bottom-left side in between the health bar and the centre? I'm looking to use it as a hit-marker to replace hitsounds. I'm using the default HUD in minmode. Anyway to have console open at a specific size (dimension) and position? my scoreboard doesnt fit the number of players id like it to fit and it isnt in minmode so, what am i supposed to edit to make it taller/bigger? How do you fix certain things being stuck on one portion of the screen? 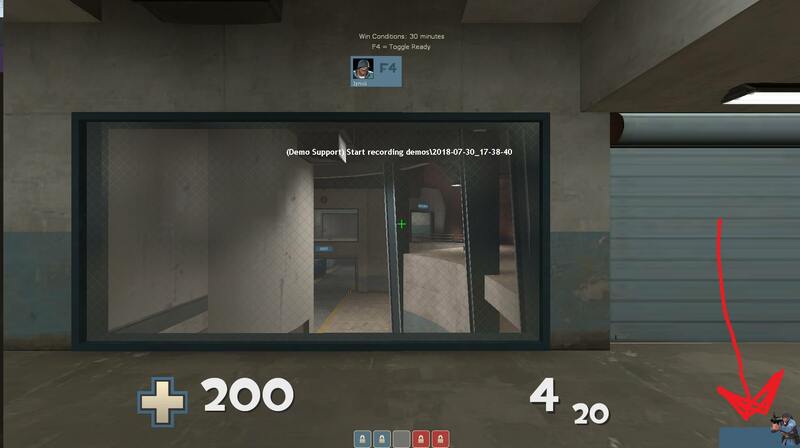 For example, i'm trying to move a medic charge meter that is under the charge percent on the right hand side of the screen to between your health and percent where it is on a lot of huds, but when i move it a certain distance it just disappears. Does anybody know how to make the item quality border in the loadout/backpack page thinner? I believe Hypnotize has done this in his renditions. 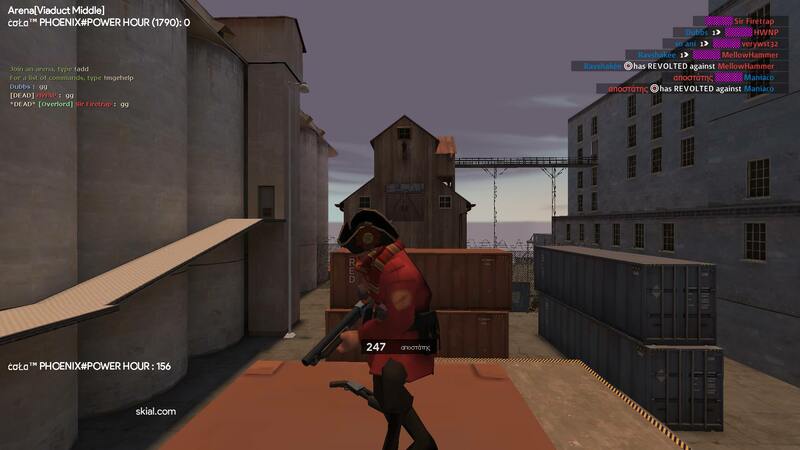 [quote=Soldier]Does anybody know how to make the item quality border in the loadout/backpack page thinner? I believe Hypnotize has done this in his renditions.